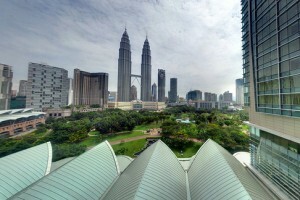 In the run up to last year’s general elections, a Malaysian-made card game captured imaginations by turning the political cogs of the nation into child’s play. 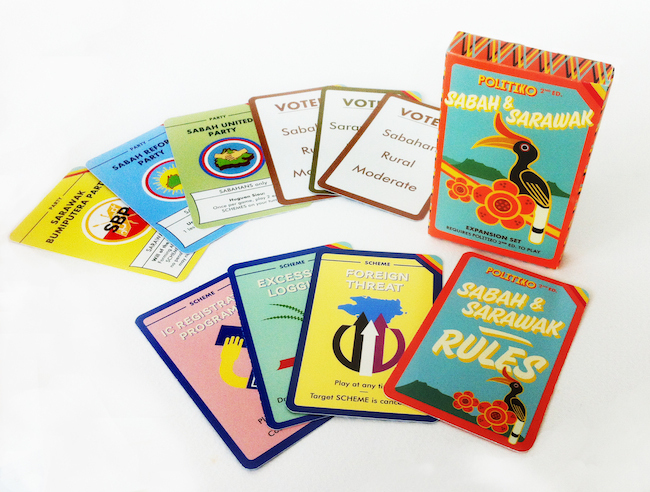 The game, developed by Centaur (Centre for Artful and Useful Recreation) is now back with a new edition and a “Sabah and Sarawak expansion set” that lets you play with East Malaysian political parties and events. Launching this Saturday 26 April at Palate Palette (12.30pm – 6pm), the new edition of the game and the expansion set will be on sale. To get into the spirit of things, the launch will also include a tuak-making workshop, as well as serving up some Sarawak laksa and a performance from Faiq and the Manja Mob. Come by and meet the creators (writer Zedeck Siew and artist Mun Kao) and pick up a limited edition of this homegrown game (the first edition sold out in six weeks). With a glass of tuak in hand, you might just get a clearer picture of Malaysian politics.